The Food and Drug Administration launched a new program in October 2011 called the “Expedited Drug Development Pathway”. Basically, this system allows prescription drug makers to expedite the approval process of certain medications that look extremely promising. This program has good intentions – get good prescription drugs to patients sooner rather than later. However, as the age ‘ol saying goes – the path to hell is paved with good intentions. Under this expedited approval program, the blood thinner drug Pradaxa was approved and it may be endangering U.S. consumers, according to the Journal of the American Medical Association. 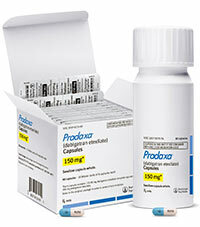 A myriad of Pradaxa lawsuits have been filed against the drug’s manufacturer Boehringer Ingelheim Pharmaceuticals. These lawsuits largely stem from patients who used Pradaxa and suffered horrific bleeds. Boehringer Ingelheim Pharamceuticals has confirmed that close to 300 lives have been lost from fatal bleeding events. Unfortunately, the risks do not end with Pradaxa. At least two prescription drugs approved through the fast track program in 2011 (Vandetanib and Fingolimod) received approval with few clinical trial data and serious health risks, according to lawyersusaonline.com. Our firm has handled dangerous drug injury cases so we appreciate just how devastating it can be for a patient to take a prescription drug and suffer life-altering side effects. If you or a loved one suffered serious side effects from a prescription drug, take a moment to view our Frequently Asked Questions page featuring answers from our legal team.